"Dad - sometimes you're just not there." An official trailer has arrived for an indie comedy titled Ordinary World, from the director of John Krasinski's The Giant Mechanical Man from 2012. Green Day frontman Billie Joe Armstrong stars in the film as a former punk rocker who is having trouble getting used to the "real world" after 10 years of leaving behind that world. When his wife & daughter forget his 40th birthday, his brother throws him a big party in New York where he encounters his old bandmates. The cast includes Selma Blair, Judy Greer, Madisyn Shipman, Dallas Roberts, Chris Messina and Fred Armisen. This looks like it might be fun, and it features original songs written and performed by Billie Joe Armstrong. Perry (Armstrong), a former punk rocker, is ten years into his band's "indefinite hiatus" and is struggling with his adjustment to the real world, which includes working in his family's hardware store. When Perry's hotshot attorney wife (Blair) and precocious young daughter forget his 40th birthday, his brother (Messina) takes pity and gives him the money to throw a huge rockstar blowout in a fancy New York hotel. At the party, Perry's punk past clashes hilariously with his grown-up reality as he encounters crazy former bandmates, including best pal Gary (Armisen) and an old-flame-turned-manager (Greer), who offers him a chance to revive his stalled career, all in one outrageous day. Ordinary World is both written & directed by filmmaker Lee Kirk, of The Giant Mechanical Man previously. This first premiered at the Tribeca Film Festival. 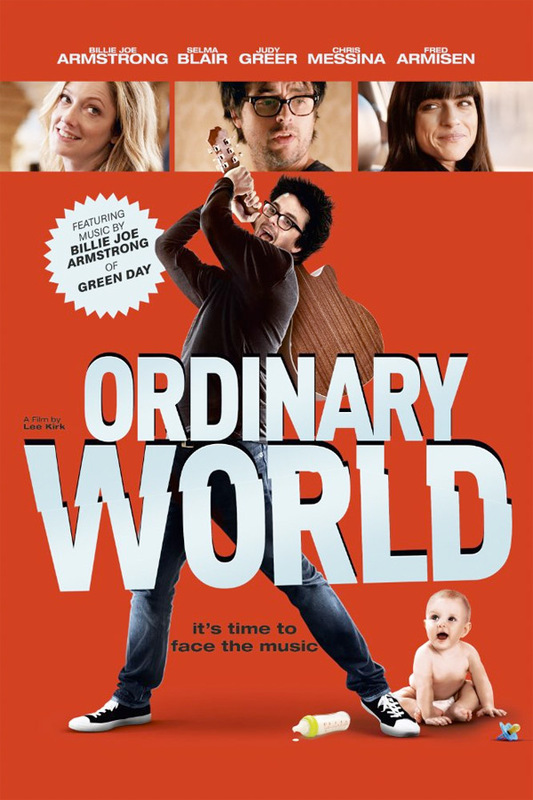 Ordinary World opens in limited theaters + on VOD starting October 14th this fall. Looks alright, probably redbox it. Makes me feel old. I remember when Dookie came out, I loved those guys. So long ago. He's married to Selma Blair and he's complaining? I'd be happy stacking shelves and coming home to hang out with Selma. I always thought Blair's career was going to pop, but after CRUEL INTENTIONS, she just kind of fizzled away. I am buying the hell out of this and I'm very shocked about this fact. This looks abysmal. It seems very cookie cutter and I'm surprised Armstrong is in this film.